The need to get motorists’ attention couldn’t be higher than right in our backyard. 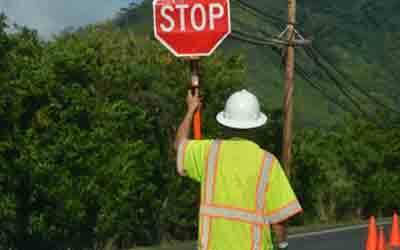 Locally, 55% of contractors in New York State reported at least one crash in the last 12 months! Although thankfully none of these incidents resulted in the loss of life, a third of those surveyed noted project delays of 3 days. At the national level, the effects of car crashes at worksites is grimmer. According to AGC CEO, Stephen E. Sandherr, 25% of work zone crashes injure construction workers and 11% of those crashes kill them. “There is no meeting, email, or text that is more important than the safety of workers and motorists,” Sandherr said in a statement. While the overall trend of worker fatalities in work zone crashes has decreased over the last decade, the Federal Highway Administration’s Work Zone Management Program reported 119 worker deaths in 2014. Nearly half (48%) of all worker fatalities resulted from runovers/backovers. The second most common cause of worker fatalities involved a vehicle collision. More than half of these fatalities were workers struck by construction vehicles. Here at TSCTA, we believe that everyone should be able to reach their destination safely. For workers and worksite managers, we strongly encourage that every worker receives the proper training needed to keep themselves and their coworkers safe. We also emphasize that motorists think of safety first; if you plan on hitting the road this summer, slow down and stay alert! If you’d like to check out the AGC’s radio ad, you can find a link here.